The question itself carries several implications. Firstly, the word ‘wrong’ implies that something abnormal and unnatural is going on in their bodies – a deviation from some norm of ‘healthy’ bodily functioning. Secondly, the question implicitly asks for a ‘cause’ of the body’s deviant behaviour – and usually seeks an answer in the form of some medically diagnosable ‘illness’ or ‘disease’. Indeed the sufferer might already be asking themselves speculative diagnostic questions such as ‘Am I getting a cold?’ or ‘Might I have cancer?’. A third, even worse implication is suggested by the little word ‘me’ – the implication of it being that not just a person’s ‘mind’ or ‘body’ but they themselves are ‘deviant’ in some way. The belief that illness is a form of deviant bodily state or even deviant behaviour may be reinforced by feelings of shame or anxiety around it – for example, shame or anxiety about calling in sick and taking a day or more off work. Such feelings are further reinforced if, as was revealed in a recent documentary on working conditions and regulations in Amazon warehouses – employees are actually given a ‘black point’ for simply taking half a day off work due to illness – or even just feeling tired at the end of a gruelling 10- hour night shift – and thus not fulfilling their pre-set performance targets. Worse still, the Amazon rule was ‘three strikes’ (three black points) and you’re out – quite literally out of a job – and that quite irrespective of whether your symptoms (for example a bad or even chronically injured back) might actually be due to the excessive strain placed upon your body by the job itself (for example from having to constantly push heavy trolleys). In the case of Amazon, we must include also the mental stress of having the maximum time in which you are expected to pick up another item for the trolley literally counted down in seconds on a hand-held monitor carried by every employee). This is but a particularly extreme example of how the very phenomenon that we call ‘illness’ is never itself brought into question. Is a worker’s ‘illness’ merely their bad back, or some other psychological stress or physical strain symptom? Is it enough to have a doctor diagnose the patient’s symptoms (for example as tendonitis or a damaged vertebra) to know what’s ‘wrong’ – to know what the ‘illness’ is? Or is what is really ‘wrong’ the fact that institutionalised biological medicine limits the very phenomenon of illness to the patient’s body and mind – failing to look for let alone ‘diagnose’ anything fundamentally ‘wrong’, ‘ill’ or ‘sick’ in their life world. This narrow medical concept of ‘illness’ as a phenomenon is particularly obvious in the case of so-called ‘mental illness’ – where a person may for example, be medically labelled as suffering from a ‘psychiatric disorder’ called ‘depression’ – yet without taking into account any of the countless entirely good and valid reasons a person might have for feeling depressed, even severely or ‘clinically’ depressed (for example the actual or looming death of a spouse, loss of a home or job etc.). More broadly still (and though it seems almost a too blindingly obvious question to even ask, though it rarely is asked) what sort of medical ‘mindset’ is it that regards ‘depression’, ‘cancer’ and even ‘Post Traumatic Stress Disorder’ as ‘illnesses’ – but not exploitative wage-slavery or war – not even dropping atom bombs on whole populations or using carcinogenic uranium tipped bullets? Similarly, what sort of medical mindset is it that regards liver cirrhosis as an ‘illness’ – but not the mass marketing of alcoholic drinks or a culture of binge-drinking? The list of possible examples here is endless, yet they all point to a wholly artificial division between the sickness of individuals and that of society as a whole and social relationships in general – including the doctor-patient relationship – a division maintained not just by medical practitioners but all too often by their patients as well. From the first question (‘What’s wrong with me?’) comes another: ‘What can I do about it?’. This second question too, carries many hidden implications and presuppositions. One major presupposition is that if a person has discomforting symptoms of any sort, then the natural and obvious course of action is to seek to get rid of them – and to do so both as soon as possible and by any medical means available. The idea that an illness may be a natural expression or even a healthy response to fundamentally unhealthy ways of living and relating, to distressing life experiences – or to a fundamentally sick world – does not even enter the medical mindset shared by most doctors and patients alike. 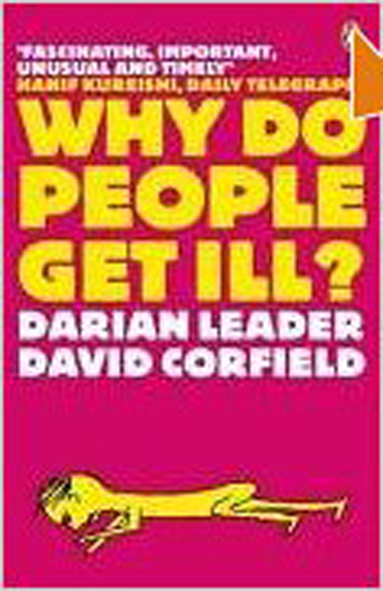 Instead it is as if the whole place of medicine in society is simply to eradicate the symptoms of a sick society by ‘privatising’ them – reducing them to a personal condition of individuals and one that can be diagnosed and treated independently of their larger social and relational context of emergence. What Martin Buber said of so-called ‘mental illness’, namely that “sicknesses of the soul are sicknesses of relation” can therefore just as well be said of so-called ‘physical illnesses’ too – ‘sicknesses of the body’. Indeed it may be argued that ‘sicknesses of the body’ are there precisely to express and make us aware of ‘sicknesses of the soul’. For the human body is not just a more or less well-functioning biological machine but a living relational language of the human being. And just as ‘body language’ constitutes the major component of all human communication and relating, so also is ‘bodily sensing’ (Gendlin) our most important way of staying aware of how we are experiencing our lives and life world as a whole – being a type of sensitive field awareness of that world as opposed to the more focussed awareness we apply to everyday activities in it. As Carlos Castaneda put it: “The body is an awareness.” This is an understanding central to the very essence of what we call ‘body’ – a word whose oldest etymological meaning is simply ‘to be aware’ or ‘be awake’. Quite simply, the body itself, being itself so intimately connected with the world around us, also is aware of and knows that world more deeply and intimately than the intellect alone. Yet we are faced with medical mindset that, whilst it claims a huge amount of intellectual knowledge about the body, at the same time totally ignores or devalues the body’s own knowing – that sensitive knowing awareness which the body most essentially is. A second presupposition of the ‘What can I do about it?’ question is (except in emergency situations or where simple remedies suffice) the belief that anything needs to be ‘done’ at all. For more often than not, when patients present physicians with symptoms, their principal motive – beside the basic infantile one of wanting a parent figure who will ‘make it better’ – is simply to seek acknowledgement or ‘registration’ of their discomfort or suffering by another human being and – through the official role of the doctor in society – by society at large. The patient may also, consciously or unconsciously, be seeking someone who will recognise the ways in which they feel not just ill-at-ease with their bodies but ill-at-ease with their lives, i.e. recognition of the existential or life dis-ease that their body is communicating through their symptoms. This is not the same thing as asking for a medically recognised ‘disease’ to be diagnosed. For though this is something which may be a comfort for some, for most patients diagnostic testing and its results often constitutes a further step on the road of separating their body from their being, their ‘illness’ from their life – including their life history, relationships, circumstances and conditions, dilemmas and ‘dis-ease’. Taking this step may also lead to suggestions for medical treatment which only serve to reinforce this separation of illness and life, and which often also carry with them another presupposition latent in the question ‘What can I do about it?’. This is the presupposition that if nothing is done about it, ‘it’ can or will only get worse. Then again there is the question of the doctor’s own need to ‘do’ something. This is of course an important part of their professional role and identity – even though in many cases I suspect this professional need to help by ‘doing’ (or even the desire to become a doctor in the first place) may be a type of personal compensation for a learned sense of helplessness acquired in childhood – for example seeing a parent die through and illness without being able to do anything about it. On one level, we all have a tendency to respond to any form of bodily suffering in a basically infantile way – feeling upset by it, wanting it to go away immediately or seeking someone or something that will ‘make’ it go away – make us ‘better’ as soon as possible. We may also believe that if nothing is done the symptoms will either persist for ever or get worse in ways that are a further source of fear. This belief and the fear associated with it is often actively intensified by physicians (usually out of their own fear of negligence in ignoring the possibility of some serious or even life-threatening disease developing if what may be its first signs are not looked at more closely or its still harmless first stages not treated promptly). Indeed we could go so far as to say that the mindset of biological medicine is based on a fundamentally paranoid relation to the human body and bodily states. Thus the often amorphous sense of ‘not feeling ourselves’ that is often taken as the first sign of ‘illness’ may already alienate us from our bodies – leading us to experience them in a paranoid way as alien or persecutory bodies, altering and threatening the usual bodily sense of self we take for granted. 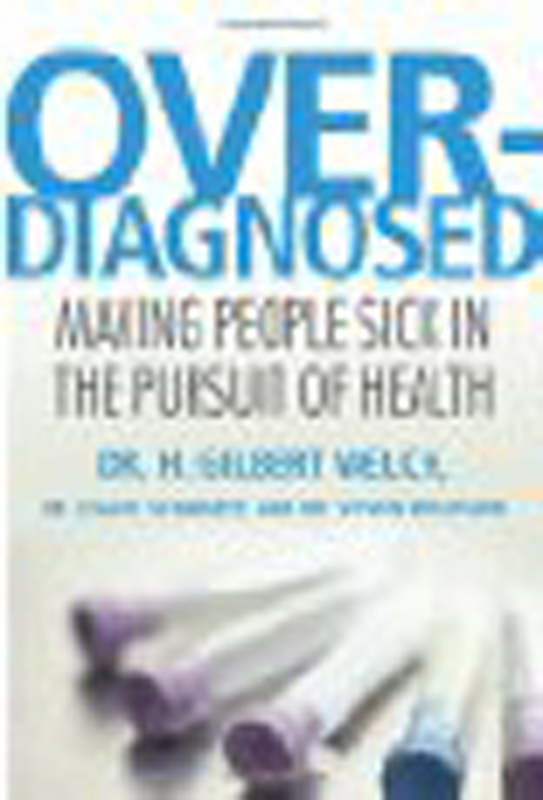 In today’s medicalised world however, any suggestion that we might overcome this sense of alienation from our bodies in the way that human beings used to do for millennia – by accepting and patiently bearing the discomforts, pain or incapacity we are suffering – is regarded as a dangerous form of defeatism in the on-going medical ‘war’ against disease, i.e. against whatever genes, cells or microorganisms are currently held by medical ‘science’ to be the alien disease ‘entities’ responsible for that suffering. The role of the physician then, is reduced to one of merely identifying this alien entity as precisely as possible in medical terms, and then medically exterminating or surgically excising it. Hence instead of exercising the art of patience in the face of suffering people become willing ‘patients’, often colluding with physicians in a common war against the supposedly alien entities inhabiting their bodies. The biological fact that there are, all the time, millions of times more bacteria than cells in a ‘healthy’ human body (including pathogenic ones) is quietly ignored – as are many proven medical and biological facts that fly in the face of biological medicine. The fact of the matter is also that in industrialised societies billions of people – even if not ‘ill’ in medical terms – are already unhealthily alienated from their bodies. They are so simply by virtue of having to sell their bodies’ physical and mental capacities to an employer – for them to use or abuse at will for in the pursuit of commercial and corporate profit. Yet instead of this fact – this ‘sickness of relation’ – being taken as an illness in itself it is meekly accepted as an unalterable economic ‘given’. After all, we all have to ‘earn a living’, even if we have no option but to do so through what Marx described so well as “the alienation of labour” – a big part of which was the alienation of the labourer from his or her own body. The result is that ‘health’ as such has increasingly come to be defined as mere ‘fitness for work’, i.e. the capacity to ‘function’ economically and in this way conform to and sustain an economic system based on wage-slavery. That the human body should rebel against this type of alienation and slavery through symptoms of ‘illness’ – even and particularly if as human beings we do not ourselves rebel – is surely a healthy response (and that even and particularly if it incapacitates or disables the individual’s capacity to merely function economically as a ‘healthy’ corporate wage-slave). And yet the pseudo-religious dogma and moralistic judgement that illness implies something ‘wrong’ with the body – or even with the person who is deemed ‘ill’ – stubbornly persists, thereby providing an on-going justification for the increasing medicalisation – and commercially highly lucrative medication – of almost every form of human suffering. Thus despite the no less commericalised proliferation of ‘alternative’ forms of medicine the true alternative to biological medicine finds almost no voice in our society. This is the alternative of understanding the very phenomenon of ‘illness’ in a way that transcends the boundaries of the body, of seeking and finding meaning in illness rather than seeking medical cures for it. By this I mean understanding what we call illness as something with an innately healing function – not something in need of cure or elimination but there to cure us – to free us from intrinsically unhealthy ways of thinking, relating, living and ‘making a living’. 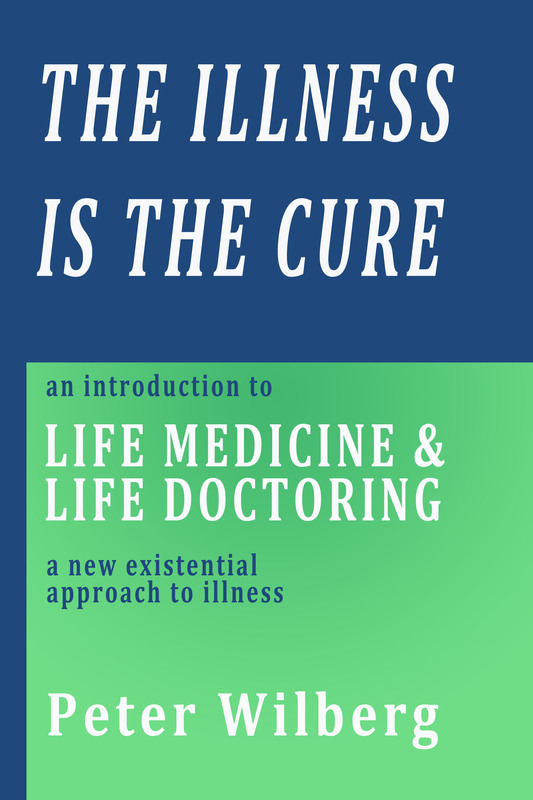 Hence the provocative title of my book – ‘The Illness is the Cure’. One fundamental way in which each of us can therefore begin to alter our whole understanding of and relation to illness from this new and radical perspective is therefore precisely not to ask ourselves the sort of questions referred to at the beginning of this essay- questions such as what is ‘wrong’ with us or with our bodies. Instead we can ask ourselves what it is that our bodies are telling us is wrong with our lives. Similarly, instead of asking ourselves what we can ‘do’ to cure our symptoms we can ask ourselves what our bodies themselves are urging – or even forcing us – to start or stop doing in and with those lives (..by which I do not mean things like stopping smoking or starting on the latest health tips and fads). It is the reduction of life as such (Greek bios) in all its dimensions to the life of the body, and the reduction too of life’s own meaningful ‘speech’ (bios logos) to a single science called ‘biology’ that together constitute the most basic falsehoods on which modern ‘biological’ medicine is built – preying on our need for instant fixes for any form of suffering. Therefore a second way of fundamentally changing our relationship to illness is, like the Stoics and Pyrrhronian skeptics of ancient Greece, to refuse to judge any particular way of experiencing our body – and with it our minds – as ‘better’ than any other. This means also breaking with the conventional association of health with happiness. For it might well be that by fully accepting a bodily state of suffering associated with ‘illness’, not only do we not cease to be capable of happiness, but might actually experience a new and deeper state of ‘happiness’ or ‘well-being’ – one wholly independent of the presence or absence of ‘illness’ or suffering in our lives. What we are speaking of is a depth of contact with our own innermost being (Greek daimon) that in and of itself constitutes a state of ‘well-being’ – one that the Greeks called eudaimonia.